NVIDIA Home > Support Home Page > Knowledgebase Home Page > My NVIDIA graphics card came with an internal SPDIF pass through audio cable to send audio from my motherboard to an HDTV. How do I connect the cable to my motherboard? My NVIDIA graphics card came with an internal SPDIF pass through audio cable to send audio from my motherboard to an HDTV. How do I connect the cable to my motherboard? My NVIDIA graphics card came with an SPDIF pass through cable to send audio from my motherboard to an HDTV. How do I connect the SPDIF cable from my graphics card to my motherboard? Certain NVIDIA based graphics card allow audio to pass through from your motherboards onboard audio controller through the graphics card and then to your HDTV via an HDMI cable. Only SPDIF audio may be passed through the graphics card. Analog audio is not support. First verify that your motherboard has SPDIF pins on the motherboard. The SPDIF connectors are usually located on the bottom left hand corner of the motherboard. The SPDIF pins will be set up in one of the two configurations below. 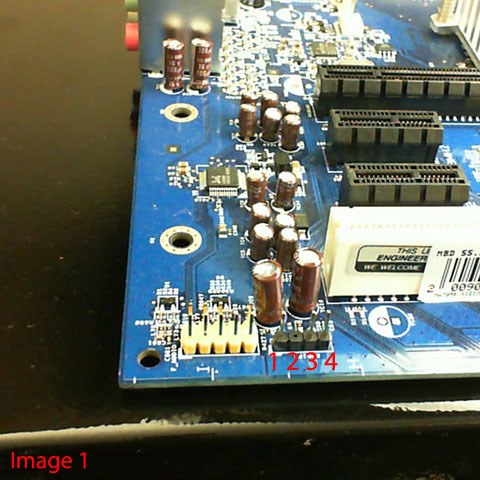 In Image 1, the pins are arranged in a 1 x 4 configuration. Pin 1 is not used. Pin 2 is missing. Pin 3 is your SPDIF audio pin and pin 4 is the ground pin. 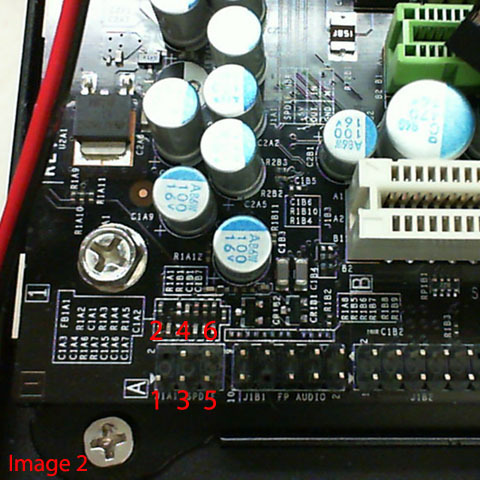 In Image 2, the pins are arranged in a 2 x 3 pin configuration. In this setup, pin 3 is your SPDIF pin and pin 5 is your ground pin. Please match up the two pin SPDIF internal cable with your motherboard. In image 1, the SPDIF cable would be connected to pin 3 and the ground cable would be connected to pin 4. If your motherboard resembles Image 02, the SPDIF cable should go into pin 03 and the ground cable into pin 5. If your motherboards SPDIF pins are difference from the images above or if you are unsure, please consult with your motherboard maker for additional information. Once the internal SPDIF cable is properly connected to both the graphics card and the motherboard, you may turn on your PC. Since the graphics card needs to pass the audio it is receiving from the SPDIF cable, please make sure you have selected HDMI audio or SPDIF audio as your Playback output device from your Windows sound properties. Otherwise, audio will continue channeling through your default audio output. SPDIF is a low bandwidth connection. It can only support two channel uncompressed audio. Some multi-channel compressed audio formats such as Dolby Digital can be sent through the SPDIF cable and then uncompressed through your HDTV or HDMI audio receiver. HDMI audio pass through will only work with supported cards. If you are unsure if your card is supported, please consult with your graphics card manufacturer. I am only getting two channel stereo from my computer when using SPDIF cable directly or passing it through the HDMI port on my graphics card.